American Airlines has amended their existing buy & gift AAdvantage campaign for Black Friday by giving an addition 20% bonus boost through November 26, 2018. Today’s Airfare of the Day goes to American Airlines and their premium economy class round trip fares between Rome and San Francisco. Flights are sold as AA codeshares and operated by British Airways. 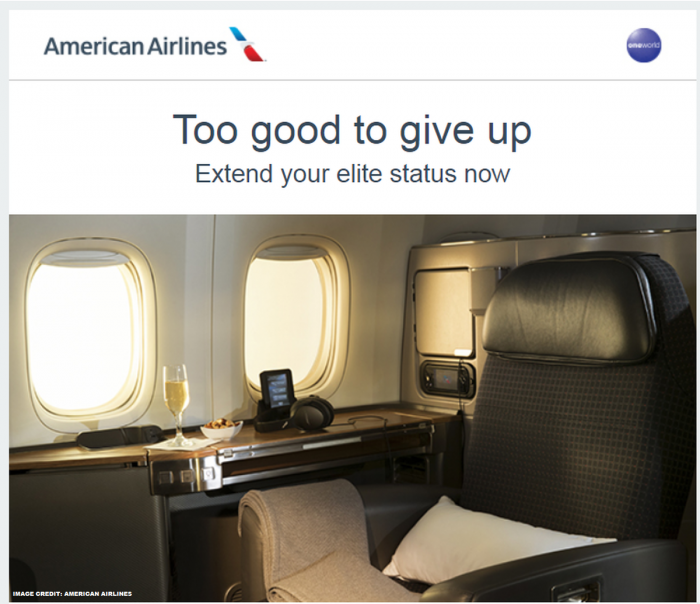 American Airlines has been sending out emails to select AAdvantage members offering them to renew the elite status they currently have with the airline or boost it with a higher one through January 2020. Several LoyaltyLobby readers have forwarded us offers they have received from AA that appear to be rather rich compared to how much they used to go for in the past. American Airlines has launched new buy & gift AAdvantage campaign at up to 100,00 bonus through November 26, 2018. American Airlines today announced changes to its AAdvantage elite program that will be effective January 1, 2019. Elite Qualifying Dollar (EQD) requirement for Executive Platinum status will move to $15K from $12K, EXP members that reach 150K/200K/250 EQMs can choose additional rewards, British Airways/Finnair/Iberia/JAL EQMs earnings are aligned with those of AA and some changes to how special fare tickets are handled. 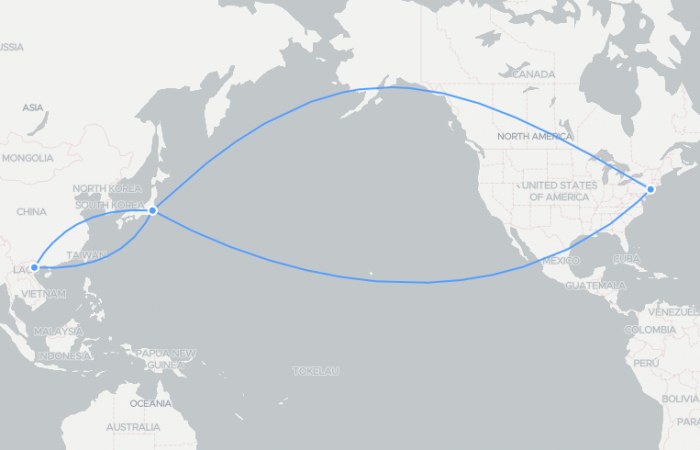 Today’s Airfare of the Day goes to American Airlines and their basic season premium economy class round trip buy-up fares between Los Angeles and Beijing. American Airlines current buy & gift AAdvantage Miles campaign at up to 42.5% bonus will come to an end on November 2, 2018 which means there are only four days left for those intending to buy miles. American Airlines has previously increased the number of miles that you can buy before any bonuses to 150,000 per calendar year with the restriction that the account that buys or receives the miles must have been open for minimum of 30 days. TPG was reporting today (access here) that American Airlines has made Air Tahiti Nui, Qatar Airways and SriLankan awards bookable online instead of having to call them in. This expands the number of airlines that can be booked on AA’s website to 13. You still cannot book airlines such as Cathay Pacific, LATAM, JAL, S7, Gulf Air or Etihad without picking up the phone despite the first four being Oneworld alliance members. American Airlines is changing its Admirals Club pricing by increasing it $100 across the board and discontinuing household membership discounts on February 1, 2019. Also, the admittance rules are changing effective November 1, 2019 requiring members to be on Oneworld marketing or operated flight or on Alaska to gain entry. You can no longer access Admirals Club despite being a member if flying let’s say on Southwest or United. World of Hyatt has launched new promotion with American Airlines for stays at Hyatt Place and Hyatt House brands between October 15 – January 31, 2019. 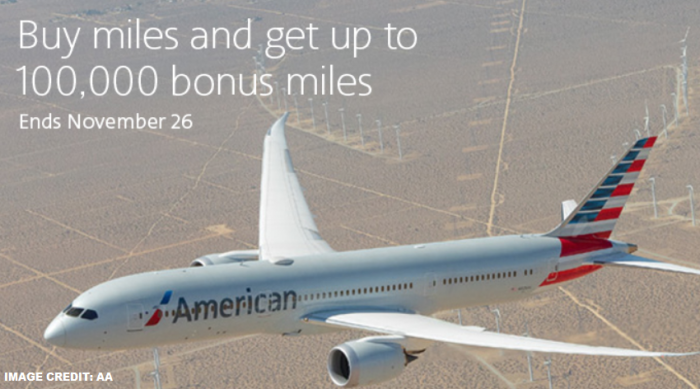 Members can earn 1,000 AAdvantage bonus miles in addition to the base miles OR points that they would otherwise earn. Today’s Airfare of the Day goes to American Airlines and their premium economy class excursion round trip fares between India and Los Angeles. American Airlines has launched new buy & gift AAdvantage campaign at up to 43% bonus and 10% off through November 2, 2018.